Many photos that you see online are compressed for various reasons. This can benefit internet users by having photos load quickly and pages use up relatively less space on a “web host”. One of the best ways to make an image web-optimized is to subject it to the photo clipping service, which involves the compression process. 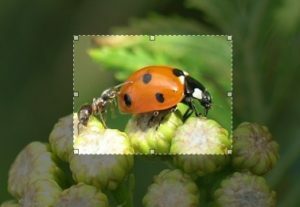 The technique compresses the data, making up an image into a relatively smaller size. The reduction of image file size is the most significant advantage of image compression. Depending upon what type of image file an editor works with, they can continue to compress it until it is at the desired size. The output takes up relatively less space on a user’s hard drive, and retains more or less similar physical size unless its physical size is edited in an editing program. This reduction of the file size works wonderfully for the web, letting webmasters create image-rich websites without using much storage space. Some electronic devices, like cameras or computers, may load big, uncompressed photos slowly. A CD drive, for instance, can only read its data at a specific rate. It cannot display large photos in real-time, but takes time to read the data in it. In addition, for web hosts transferring data slowly, compressed photos are required for a wholly functional site. There will also have a difficulty in loading uncompressed image files quickly in other types of storage mediums, like hard drives. The compression makes for the quicker loading of information on slower devices. If you have a website or are building one for e-commerce business or marketing purpose, you will have to use a lot of photos for different purposes. While some may go into the product catalog page, others may be required for marketing or communication-related purposes like photos of shopping carts. Uploading high-quality photos will use up a lot of the website space, which can make the site load slower on less-powerful devices. 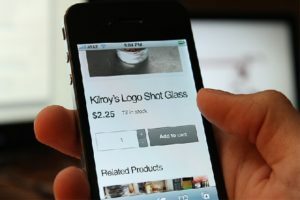 As the world is going digital nowadays, many customers are shopping on their mobile devices too. Slow loading especially impacts customer or user experience. Therefore, you will have to use preferably web-optimized photos. You can always get in touch with a clipping path company for website image optimization purpose. A clipping path company, adept at doing the optimization task, can give you optimized outputs in good quality that you can use on your site. This can improve your site loading time, and thereby your business conversion rate.